It is the most common thing a pet sitter hears on the phone, “Hi I’m going out of town this weekend & was wondering if you are available to watch my pets?” It is also the phrase that honestly can make a pet sitter cringe! Contrary to belief, pet sitters do not sit around eating bon bons, waiting for the phone to ring to go care for peoples pets. They are usually working an average of 8-16 hours days. Getting up as early some times as 4-5am to start morning visits, and completing their days as late as 10-11pm. They have been known to do 12-24 visits per person in a day. A pet sitting service with employees may have 50 pet care visits schedule in 1 day between 5 different pet sitters. A good professional pet care service will have at any time in excess of over 100+ clients. A week notice or less is frankly unacceptable and inconsiderate to call a professional pet sitting service and ask them if they can care for your pet, especially if you have never used them before. Good professional pet sitters book a month or more in advance. So to expect a service to schedule a meet & greet with you, get your service set up, and scheduled with little notice is extremely demanding. You may end up getting charged more more too for booking on such short notice for inconveniencing the pet care service. If you call and leave a message for a pet care service they have 24 hours by industry standard as an acceptable time frame to call you back. If they do not answer the phone it does NOT mean they are not interested in your business. It means they are busy and occupied at the moment & can not come to the phone. They may be caring for a pet at the time, in the middle of an emergency, driving, or in a meet & greet. How can they pay attention & focus on caring for a pet, driving, or on their current meeting if they have to stop what they are doing to talk to you o the phone? Why is your call more important than what they are doing at that moment? It’s honestly not, especially if they are taking care of somebody else’s pet that had made a reservation for that time period. Do not repeatedly call the pet care service the same day leaving messages or just hanging up if they don’t answer. Leaving one voice message in a 24 hour period is plenty and they will call you when they are available to talk & give you their undivided attention. To leave a message and then send an email is okay to cover your basis. But only leave one message & send one email in a 24 hour period. If you get information on a pet care service & stick it in the drawer to hold on for later – DON’T! Be PROACTIVE! Call that service and set up a meet & greet even if you don’t have dates in mind yet. That way when you do decide to go away in the future it’s less time consuming to get your pet care set up and scheduled. You are already in the Pet Care Services system and it usually a quick email or phone call to get you on their schedule. A GOOD PROFESSIONAL Pet care service will book a month or more in advance! Holidays book 3-4 months in advance! If you go online and look at a pet care service that has a website, online reviews, is Bonded & Insured, and has other outstanding credentials they are going to be in high demand! Therefore they will book up quick ! Holidays are the same time & sometimes dates every year. If you think their is a chance you will want to go away set up your pet sitter first! Because the air flight & hotels won’t do you any good if you don’t have anybody to watch your pets! Even if the the dates might change slightly – get on their calendar in advance! Get a “Save The Date” in the mail for a wedding – as soon as you get it – call you pet sitter! Don’t wait until the month of the wedding! Pet Sitters LOVE advanced notice! The more the better! Emergencies happen and last minute stuff comes up – We all understand that. But to call looking for a pet sitter at the last minute to go on a pleasure trip is honestly irresponsible, inconsiderate and rude. A pet owner that books in advance on a regular basis will get priority scheduling when a last minute need may come up. 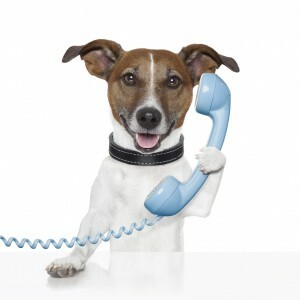 A pet owner who regularly calls at the last minute will get last priority on a pet sitting services schedule. Because you are not the only pet owner out there who needs a good pet sitter! What you will end up with in the long run is a person who is doing this as a hobby or make some side money or a college kid that will give your pet substandard care while you are away. We all want the best care for our pets when we are away – the best way to get that is to be a responsible, organized pet owner and give as much notice as possible! Use a months notice as your rule of thumb when booking pet care!